I started and run a fantastic Childminder business. I shall describe the business and my background. I am Ofsted registered childminder with Ofsted GOOD rating and a Gold member of childcare.co.uk. I have a University Master's Degree in teaching languages and literature, a BA degree in Art and Design and a level 3 in Preparing to Work in Home-based Childcare. The house has a great back garden and a short walk to a park, to South Downs and woods, to the local children and community centre, local schools and bus stop. I am multi-lingual and many of the children I have been working with are multilingual and speak iCzech, Farsi, Russian, Slovak, Spanish and English of course. This makes the environment interesting and multicultural. My 6 year old son speaks 2 languages and he often interacts when time permits. We encourage child lead free play, games and physical activities to support all areas of child's development - language, maths, physical and social. We do arts and crafts, arithmetic games, memory games, puzzles, card games, puzzles, legos, experiments. We visit local park which has a great skate board section, area for children to climb and play footballs and basketballs. We also make visits to museums, Open Market area, shops, library, local playgroups.... Be assured that boredom is never an issue! I encourage healthy eating and provide healthy snacks , fruit and vegetables. Between 6 months and 13 years old. I take vouchers and am in the process of registering for 2 year and 3 year funding. Monday to Friday and during most weekend if needed and arranged. I am happy to do morning drop offs and collections from local schools or nurseries in Hollingdean area, or 5 Ways. I am flexible, give me a call. I'm sure we can arrange something! -Working as a childminder providing childcare for children various ages over the summer time. - I constantly educate myself on the subject of child psychology and behaviour. I like reading latest news, blogs, websites, books and listen to educational and professional talks related to latest scientific finds in the field of education and child development. I have finished my childcare online course for childminders with PACEY - Professional Association for Childcare and Early Years. I have currently spaces available for children between 3 months and 13 years old. I am flexible. I work Monday to Friday and during most weekend if needed and arranged. I am happy to do morning drop offs and collections from local schools or nurseries in Hollingdean area, or 5 Ways (if there is a larger demand from this area). Below are the latest reviews for Zuzana. Please note that reviews represent the subjective opinions of other Childcare.co.uk users and not of Childcare.co.uk. Parents must carry out their own checks and references on childcare providers to ensure that they are completely happy before enaging in the use of their services. Zuzana is a warm, fun and very professional childminder. My daughter who's 11 months has had an amazing time with Zuzana, everyday I can see some improvement. 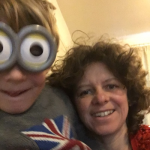 Zuzana looks after 2 other older children and that's had a big positive impact on my daughter who copies the older and wants to get involved in every activity. I can see she's learned to share and be very compassionate towards others. I can definitely say that Zuzana is very caring and has a very nice approach towards babies. My daughter gets super happy when she sees her and throws herself at her immediately. Zuzana's always on time and makes sure she sends updates on how the day's going and what they're getting up to at lease once a day. We are moving abroad and so unfortunately my daughter won't spend more time with Zuzana but we'll definitely miss her very much. I feel so lucky to have found Zuzana. She is warm, friendly and full of fun; my son absolutely loves spending time with her. She is reliable and efficient, but much more importantly, she has a home with a welcoming and happy atmosphere where all the children in her care feel safe and relaxed. My son has really thrived in her care as she provides a safe, welcoming, environment for him to play and develop. Her own son and husband are great with my son and a credit to her. I am a full-time student and she has always been professional, flexible and accommodating. Zuzana often takes the children to playgroup, days out and the park, my son comes home telling me about all the fun they've had. I would recommend Zuzana as a childminder to anyone, she is a natural and the fact that she loves working with children is clear to see and that’s why all the children love her so much. Zuzana sat for my 3 boys for an evening while we visited Brighton for a work event. The boys only had nice things to say about her! Sorry for being late with my respond. I have had my two little kids babysit by Zuzana a couple of times. They felt safe and happy at her house. They settled easily there and Zuzana has helped them with their development. Other good things was food she provided in a clean environment. Her home is always welcoming and my kids had always a great fun playing with all toys available. Zuzana is honest, trustworthy, flexible, creative and focus on child childminder. She provides a wide, fun and creative range of activities including outdoor activities in her garden. As a designer herself she showed to kids various techniques of art. My kids appreciated it a lot. They were also very good with Zuzana's son Max. If any conflict she was able to sort it out immediately. I have been very happy with care my kids have got there.